577 Squire Drive Wellington, FL. | MLS# RX-10156071 | South Florida property for sale. Palm Beach County short sale, REO sales. 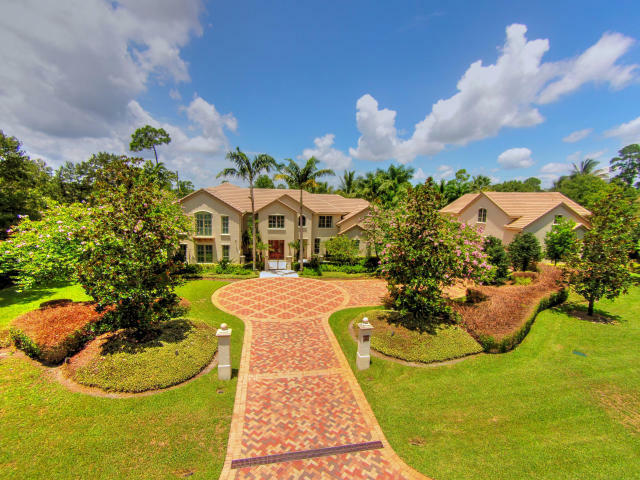 This custom designed 6,800 square foot home in Paddock Park offers resort style living. The 5 bedroom, 4 1/2 home boasts travertine and hardwood floors throughout, gourmet kitchen, billiard room, bar, dual offices, dual media lofts and elevator. Plantation shutters, custom base & crown moulding, impact glass & doors and custom cabinets grace the interior. The one acre fully landscaped yard includes brick entrance court, travertine patios, outdoor kitchen, gas fire pit, basketball & volleyball courts, award winning zero edge resort style pool & spa.